In most of the industries we have to handle various types of chemical & slurry which are corrosive by nature. HDPE Pipe is a ready solution for such difficult material handling as it is a chemical resistant material. We are offering a range of Chemicals Transportation Services that is provided in two types like organic and inorganic transportation services. All these services are completed within the provided time period and provided by our diligent team of experts. Furthermore, we make sure that all the services meet the requirements of our respected customers. Keeping in view assorted requirements and demands of our honored clientele, we are competent to render Petrochemical Transport Service to our customers. Our service is accomplished using the advanced techniques. We are masters in providing Chemical Transport Services to customers. We are K.Ramasamy transport Earlier startup with 1977.Now We are deal Petroleum Products and Chemical transportation service in South India. 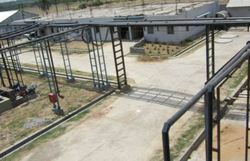 We are indulged in offering the finest quality Slurry And Chemical Transportation. All chemicals & solvents transport. Tanker ( ss/ms) available here of capacity 10mt, 16mt & 20mt. 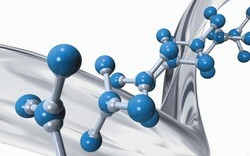 We are also providing transport services for acidic material. Our Chemical Transportation Services is best to supply products in schools, colleges and research places. This transportation service is best in market and quickly completed by professionals in easier way. Moreover to this, we ensure damage free delivery of chemicals. We offer our valued customers the services of Chemical Transportation Services. Our professionals are well versed with these intricacies and hence store and transport the chemicals as per their features.